These Puncture Repair Kits are suitable for pneumatic tyres with an inner tube such as cycles, wheelbarrows or sack trucks. Both kits come with 10cc of solvent and a scourer. 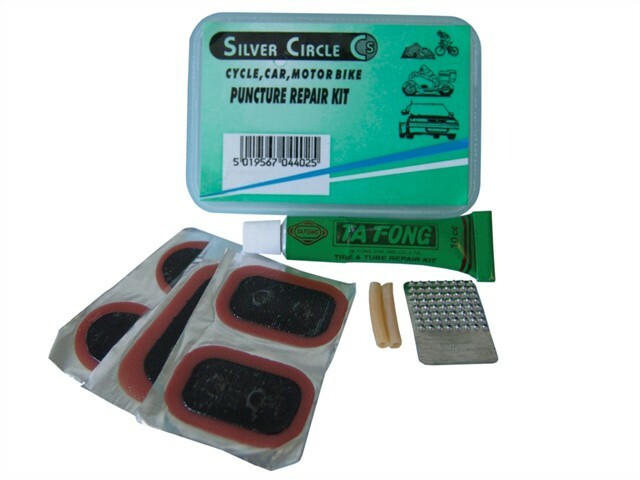 The standard kit comes with 5 repair patches. The large kit comes with 7 repair patches.